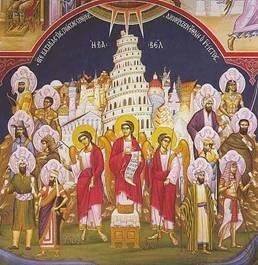 Share the post "The Tower of Babel"
This Week the LAMBS will be learning about the Tower of Babel. Last week, they learned that mankind had turned away from God and had become wicked, except for Noah and his family who were saved because they obeyed God. In the story this week, they will see that mankind has once again turned away from God and become prideful. The little ones will talk and think about how it must have felt to suddenly not understand anyone, and feel alone. Please pray for our little LAMBS in your daily prayers!